This was our first workshop with a guest agent, and it went great! Agent Jordy Albert of The Booker Albert Literary Agency kindly read the participants final revisions, and gave her comments from an agent’s point of view. And our guest author, the talented Paula Stokes, author of THE ART OF LAINEY, provided great feedback, along with all of our wonderful permanent mentors. Our November workshop will open for entries at 12:00 EST on November 1, 2014. We'll take the first five Middle Grade, Young Adult, or New Adult entries that meet all guidelines and formatting requirements. Our guest author mentor is J. R. Johansson, author of several fabulous books, including INSOMNIA and PARANOIA, of The Night Walker Series, and CUT ME FREE coming January, 2015! And instead of a guest agent, this month I’m thrilled to have my editor for THE EXCEPTIONALS, the amazing Pam Glauber, join us for the final week. Pam was an editor at Holiday House for years, and now does freelance editing. Trust me when I tell you that she is an incredible editor! I will post reminders here, on Adventures in YA Publishing, and on twitter (@etcashman) when the workshop is open, and when it closes. NOVEMBER GUEST MENTOR: J. R. JOHANSSON! J. R. Johansson’s debut, INSOMNIA, is a Young Adult Supernatural Psychological Thriller available now in the U.S., Hungary, and Spanish. It is coming soon to German, Chinese, Portuguese and Czech. PARANOIA (Book #2) was released on June 8th, 2014. MANIA, the third and final book in The Night Walkers Series, will be available June 8th, 2015. 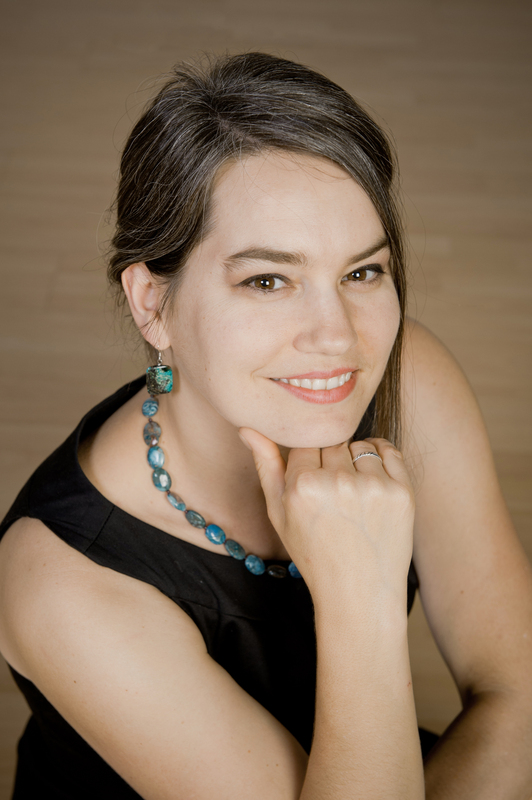 She also has two other Contemporary YA Thrillers in the works. 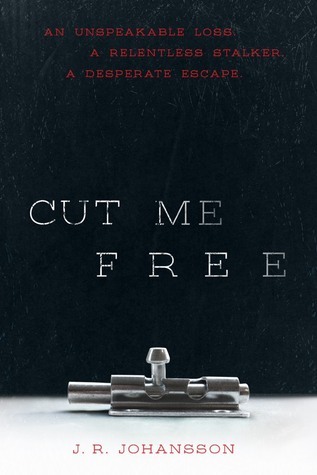 CUT ME FREE coming January 27th, 2015, and an untitled book in Fall 2016. 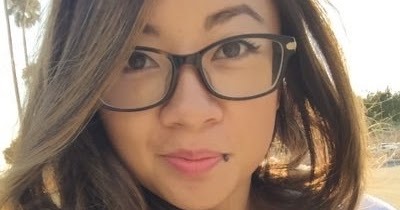 Jenn has a B.S. degree in public relations and a background in marketing. 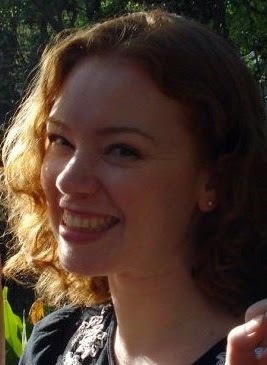 Her abnormal psychology minor inspired many of her characters. When she’s not writing, she loves reading, playing board games, and sitting in her hot tub. Her dream is that someday she'll find a way to do all three at the same time. NOVEMBER GUEST AGENT: PAM GLAUBER! At precisely 8:00 AM on the morning of September the 4th, Jane’s bedroom door swung open and Jane skidded out into the hallway, tugging at her pleated skirt and pulling up her mismatched socks. Can’t be late, she thought to herself as she raced across the purple hardwood floor and headed for the stairs. Oh no, oh, no, oh no. She thundered down the steps, deftly dodging the stone gargoyles and plastic flamingoes her parents had placed there for decoration. I can’t be late on my first day of high school. “Exactly on time, as usual. That’s our predictable daughter,” Jane’s mother sighed. “Yes,” she replied. Jane rarely offered up any more information than was necessary. Some girls her age might have gushed about the cute boys they were going to meet; others might have griped that eyeliner didn’t come in a shade dark enough to match their souls. Not Jane. Her mother fought back a sigh. “Jane, darling, we need to have a word about your outfit.” Mrs. Hale bit her lip. “What? Why would you do that to me? You didn’t even tell me!” Jane pushed her plate away and stared at her mother, open-mouthed. She was breathing much too quickly; in, out, in, out, in, out. Maybe they’re kidding, she thought desperately. Even they wouldn’t do something like that without telling me. It’s got to be a joke. “We wanted it to be a surprise, darling! You’ll have much more fun at public school than at some stuffy old private school,” Mrs. Hale explained. “But Mom, I’m not even dressed for… you didn’t even tell me… I have to go change!” Jane sprung up from her seat and turned for the stairs; she couldn’t bear the shame of being the only one at school in a uniform. But Mrs. Hale grabbed her wrist and gently pulled her back down into her seat. Whatever her parents had to say, Jane was almost certain she wouldn’t like it. She started to get up from the table, mumbling about forgetting to brush her teeth, but her mother pulled her back down again. This was precisely the 287th time that Jane had been subjected to this conversation, but it was the very first time that either of the Hale parents had ever mentioned their own interests. Jane was almost certain that this was a bad sign. “Fortune?” At no point in Jane’s fifteen years of life had there been talk of any fortune. She looked around the kitchen, taking in the five-year-old stove, fifteen-year-old microwave, and two-hundred-and-thirty-seven-year-old suit of armor propped against the pantry door. My parents have got to be messing with me this time, she decided. There’s no way we’re rich. “Yes, yes.” Mrs. Hale waved her hand, brushing off Jane’s doubts that a fabulously wealthy couple would choose to live in a cluttered split-level. Sheba had warned him earlier that day, so when Kenley exploded and disappeared into the sword, Hal couldn’t say he hadn’t had notice. Of course, he didn’t know exactly what was going to happen; his dragoncat was never quite so specific. Still, he could have been more careful. He could have made sure Kenley had been more careful. That was a laugh. He shook his head at the very idea, as Sheba rested across his shoulders, her weight heavy and relaxed, pressing down onto his neck and loosening his muscles. She purred thickly against him as he sighed, still in awe of what he had seen, and the rumblings that came from her small body helped him to stay focused on his memories, which may have been fresh but confused him all the same. It had been less than an hour since it had happened, and he now held the sword in his hands as he sat on a bale of hay, staring at it as if, considering what had just occurred, it might begin to speak and explain. The old wives’ tales of the one who would reunite the country and save her from centuries of strife. If that didn’t sound like a ridiculous fairy tale, he didn’t know what did. Kenley? His little sister? Even she would admit it was more than a little unbelievable. She was clumsy, absent-minded - and she had taken the cracked sword that had been practically a plaything to them for the last ten years, raised it high above her untamed mess of hair, and stared defiantly at the damaged metal before spontaneously combusting. Hal would have laughed at her, at the obscene number of pearls shimmering on her dress like a gathering halo as the women around her wrestled with the silk folds to stitch them in one by one. The last time she had seen him, they were both ankle deep in cow manure, straw in her dirty length of hair, mud dried beneath her nails, and he had yelled at her for leaving a pitchfork out on the barn floor where he could and did step on the tines to flip the wooden handle up and smack him in the face. Now, she allowed her eyes to drift closed and pictured his face, damp and flushed in momentary anger, and felt her fingers curl into fists at her sides. Her nails were chewed to the quick, the nubs harmlessly pressed into her palms. One of the sewing ladies spoke with words of respect but a tone of impatience and resentment. Kenley took a small breath and held her belly in as much as she could, regretting the extra cherry tart she had charmed out of the tavern keeper’s wife the night before, keeping her eyes sealed against the image in the huge mirror before her. She stood in the middle of the room surrounded by kneeling women of varying ages, their heads bound in plain white scarves and their attention fixed on the slippery silk that filled their hands. She tried to keep her brother’s angry red face in focus as someone started to pull at the back of her head, scraping a rough bristled brush against her scalp in an attempt to tame her unruly hair. Good luck to them, she thought, and wondered how long she had been there. Not just in the room, but in the castle. Time had seemed to stand still since she had found herself here, had been handled and paraded around for inspection like an animal set to compete in a village fair. The attendants, especially those who had been instructed to bathe her earlier that day, made no pretense of liking her or their work and carried on as if she were deaf. While she didn’t care what they thought of her, she did wonder what she had ever done to them to earn such ire. They snorted with laughter. Kenley knew she was dirty, but it was honest dirt that came from honest work, much like these women’s own. It would be strange, though, she considered, for them to be set to work on a strange girl presented to them as their new queen, who looked no more royal than they did. Her head felt fuzzy from the heat of the steam, and she wished she could jump in the cool lake back home, with Hal at her side. What a fuss, she thought. No one had ever paid so much attention to her hair before, and she knew Hal would be greatly amused to see it free of straw and mud and whatever else she had collected on the farm and in the woods. She wondered what it had looked like to him, when she disappeared, and if his dragoncat Sheba had explained it. Surely Sheba knew more about it than she did. Really, at this point, anyone might know more about it than she did. Hal knew that Sheba had something to do with the strange calm that had come over him after the initial shock of Kenley’s disappearance had passed. The dragoncat had always influenced his feelings, and for the better, but this felt inappropriate, and began to scare him. The usual teasing between him and his sister had been interrupted when her jaw set firm, her smile vanished, and with a straight back that would have pleased their mother, who always complained about Kenley’s slouching, she had gripped the sword tightly and held it directly in front of her. What in the world, he had begun to ask, but before he could speak, the space in front of Kenley, the air that even in the early morning had held a heaviness that spoke of a humid day to come, seemed to move and take shape. His jaw had dropped as he watched while she disintegrated by degrees for an eternity that lasted mere seconds outside of his experience, the flickering faded blue of her day dress dissolving along with her straw-yellow hair. She hadn’t seemed afraid but more than a little surprised. Whatever had called to her through the sword, old wives’ tales aside, would have to relinquish her. Hal would make sure of it. The sun went down through a spray of red like a man shot. Its last panting breaths fell heavily on the back of Douglas’s neck. Pushing his hat back on his sweat-slick, cornsilk hair, he weaved further into the trees. When he figured there was enough forest between him and his parents’ picnic to grant him some privacy, he undid his britches to relieve himself into a dry creek-bed. Not a leaf stirred nor did a branch creak. The more Douglas glanced over his shoulder, the surer he became something was hiding in the solitude. He didn't enjoying being out-of-doors, but his father insisted he come along on the picnic to hear the big news. News which had left Douglas with a full load of dread. Every morning of his fifteen years, he had woken up in the finest home in Hazelwood, and now they were setting out to live like settlers in some frontier town on the other side of the continent named Seattle. The creep of someone watching him, crawled over Douglas as he buttoned his britches. The beady black eyes of a crow stared down at him with keen interest as it sidestepped along a branch. The crow cawed, cutting through the silent forest like axe chops. Douglas flinched, and then felt foolish for it. Spinning around, he found a man leaning against a tree, staring at him with yellow eyes underneath a low derby. Leaping back, Douglas slipped and fell into the mud he had just made. The man chuckled. "Sorry to sneak up on you. Would've announced myself but didn't want you dribbling on your slacks." Unbuttoning the coat of his hairy wool suit, he stepped down into the creek-bed. His sharp fingernails pinched into his chest. “Lousy ticks,” he said digging one out and popping it into his mouth as he took a step nearer. “Cripes,” Douglas yelped in shock. Rising, he backed away until his heel struck the opposite embankment and fell again. Something shuffled among the bushes behind Douglas, and he turned to look. Something big bumped against a thin tree causing it to lean to the side with a groan. "But, I can never help raising a bit a mischief," the stranger whispered. The man’s breath brushed over his ear and Douglas smelled its copper tinge. He jerked back, surprised the man had crept so near, more surprised that he was gone. Turning back to the bushes, Douglas watched as something roughly akin to a bear, but rounder, emerged. Its fur seemed to be missing. Only brown-black, rubbery skin stretched tight over its rotund frame. The only hair it had were two bushy eyebrows and a tuft hanging from its chin, dripping with spit below a mouth full of teeth that would surely tear Douglas into forty-two pieces with one and a half bites. Breaking from the trees, Douglas tried to scream, but fear dragged the air from his throat on every ragged breath. The beast crashed through the woods, gaining quickly. Its rubbery skin gleamed slightly in the feeble light of the early evening, so tight that it scarcely quivered as it ran. The meadow between him and his parents seemed to stretch out at every step. The beast grunted, and Mr. Webb raised his eyes to see what was salivating at his son's heels. Mrs. Webb yelped in surprise as her husband jumped to his feet and bolted to the rifle on his mount. Ichabod, Douglas’s horse, spooked by all the sudden action, took off at a gallop. When Douglas turned from his aim, Mr. Webb didn’t hesitate to pull the trigger. The bullet ricocheted off the creature’s rubbery skin and slammed back into the stomach of Mr. Webb. Mrs. Webb’s screams flooded the grassy meadow, on into the dark trees shaking their branches and twisting their leaves. She took a burning stick from the fire and, gathering up her skirts, sprinted across the grass. At the sight of his father writhing, holding his stomach as blood seeped between his fingers, Douglas felt a punch in his own gut. He ran to his father, as his mother ran past him. Douglas whipped around, trying to call her back. Ignoring him, she hurled the flaming stick at the animal. Its skin ignited as if it were drenched in kerosene and erupted in a fireball that consumed his mother in a rush of flames. A powerful gust of air lifted Douglas. The world roared and tumbled beneath him, then rose up to strike him and disappear with his senses. Douglas awoke to Ichabod snorting in his ear. He pulled himself up coughing and held his aching head as he watched the small flames crawl over the grass. He Limped to the blackened crater. There was nothing but black ash. Unable to breathe past his cries, Unable to cry past his breath, Douglas opened his mouth, gagging and heaving; his mother was gone and the loss was too much to hold inside, but too big to let out. When he heard his name he realized his father had called him several times. Ichabod walked with Douglas stumbling against his flank, leading him to his father. Laying in the grass at his feet, was a man Douglas did not know. This man who was swallowing too much, breathing too shallow and soaked through with blood, could not be his father, because his father couldn’t be hurt and had never been helpless— his father was incapable of dying. Douglas became unstopped, and his despair gushed out in a torrent. He screamed and wailed, refusing what the world had become on the other side of his closed eyes. His father kept a calm voice and told Douglas again to take him home. He tried to do as his father instructed, but however much he pushed and pulled his father, he failed to get him into Ichabod’s saddle. “That doesn’t matter. You will do it because it must be done.” Mr. Webb insisted. And done it was. Douglas’s arms and legs were shaking with fatigue by the end, but his father was mounted on Ichabod. At every hoof fall of the long ride home, Douglas hoped the ground would swallow them, then damned it for refusing. Sheba's soft rumblings helped him stay focused on his memories, which were still fresh but confusing. It had been less than an hour since Kenley had disappeared and he now held the same sword in his hands as he sat on a bale of hay. His parents would yell at him for wasting time when horses needed brushing down, stalls wanted mucking, and cows lowed as they waited to be milked. Kenley would be milking them now if she were here, and they would be teasing each other about some silly matter or other. She snorted when she laughed hard, which was often, all the time, really, and he smiled. Was she snorting now, wherever she was, fit into the sword? It was an absurd and impossible feat but he knew without a doubt that she was there. She spoke of it right before it happened, leaving out all the details that would have made sense of it, to him, at least. If there was any sense to be made. All that was left was for him to figure out what to do with the sword to keep it, and her, safe. He reached around to touch his fingers to Sheba's long back and stroked the black cat gently. She leapt away from his fingers and lay at his feet, her eyes nearly closed as she peeked through the small slits that revealed them, watching him closely. Hal blinked at her slowly. "What now? Do you know where she is?" Sheba's eyes drifted completely shut and her purrs became longer and deeper, almost like a growl. Hal stared at her then down at the sword. "The castle. A princess belongs in a castle." He slid the sword into the sheath strapped to his waist and yanked at his pants, pulling them up. His mother was always complaining that he wouldn't wear a belt, and for once, he wished he had listened to her. The pants were too big, handed down from cousins who were quite a bit larger than he, and if he was going to walk all the way to Dara he'd need something to keep his pants on. There were bits of rope in the mess of whatnot on a bench - mostly Kenley's finds - and he grabbed a hank, pushing it through the loops on his belt and tying it up front above the buttons. If she could only see him now. Maybe she could. He realized that although he knew the legend like the back of his hand, now that they had started their own path into the story he felt as if he knew very little. Very little that was practical, that is, and could help him figure out how to help Kenley if she needed him. Maybe she didn't. The sword shone in the awakening sunlight, teasing him, the beams bouncing off the metal and shifting back and forth, nearly blinding him as he twisted it back and forth in front of him, hoping to feel her presence somehow within. He shook his head as a wave of helplessness came over him. She had disappeared right before his eyes here in the barn in seconds that had seemed like hours, her body dissolving into a million pieces like the exploding lights set off during summer fairs. Could she see him? Could she feel the sword swooping in the air as he moved, his eyes never leaving the weapon as he watched it carefully before tucking it safely away? Sheba rose and stretched before padding to a corner of the barn to settle down, her tail curled carefully and thoughtfully around her sleek body. Her eyes met his again and he knew she was as troubled as he was. It made sense that Kenley would go to the castle, as she was, apparently, the rightful heir to the throne, but how was she going? Did the sword have to bring her there, now that she was part of it, or was there something magical about the sword that could transport her? There were too many questions and reading his mind, as dragoncats were wont to do, Sheba narrowed her eyes in disapproval. "I know, I know, " he nodded as he spoke aloud. "Crowding my thoughts isn't helpful. Distracting. One thing at a time." Time, though, was a problem. If Kenley needed assistance, time wasn't an element to be ignored. Still, he had to focus on one problem at a time in order to move forward. Conrad. Focus was one of Conrad's favorite words. Where was he, anyway? Usually he was lurking about, sometimes sneaking up to give Kenley some sort of advice, something Conrad must have thought was wise or clever. Hal could use a clever solution right about now. He stared at Sheba but she was looking past him at nothing, her feline senses somewhere far away. Maybe she could contact Kenley. Hal sat down on a bale of hay and rested his face in his hands. He had to be missing something important here. There had to be a starting point. Legend held that long ago two brothers fought over the sword of Andaria, and the older brother was killed during their battle. Their mother, the queen, cursed the younger brother, as she had always favored the heir to the crown. It had truly been an accident, however, and the younger son was devastated that he had murdered his sibling. His sorrow was so great that the sword that had brought about his brother's death split and nearly shattered with the force of his grief and guilt. The curse was a dark mark on the royal family ever since, with every generation having some troubles but none that were as terrible, and none that stood out as anything more than the usual sort of family squabbles that were understandable, even amongst royalty. Now, with a younger brother pushing the older from his seat on the throne, it seemed that history was doomed to repeat itself, leaving the country in a state of panic. If both brothers were worthy of the crown, there would be little to worry over, but one was quite mad with his lust for power and disinterest of the problems of the common people. Unfortunately, he was the one in control at the moment.